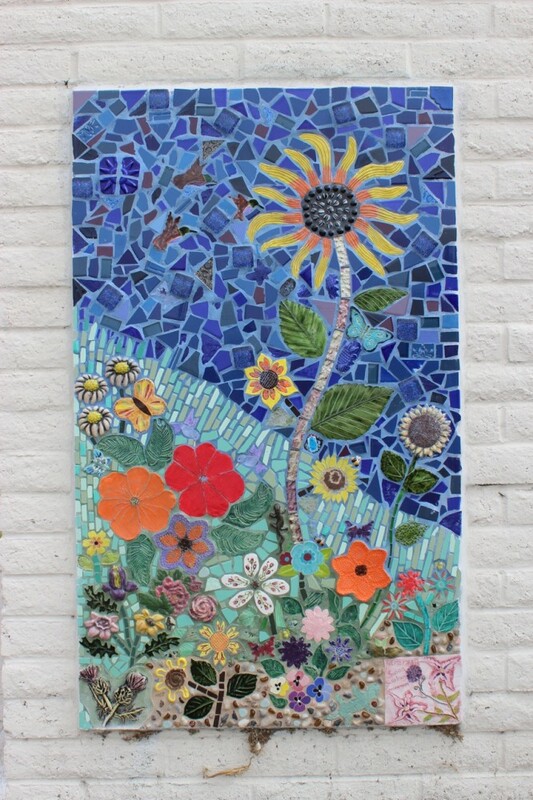 Susan’s classmates in the decorative arts each created a ceramic piece towards the creation of this mosaic in her memory. 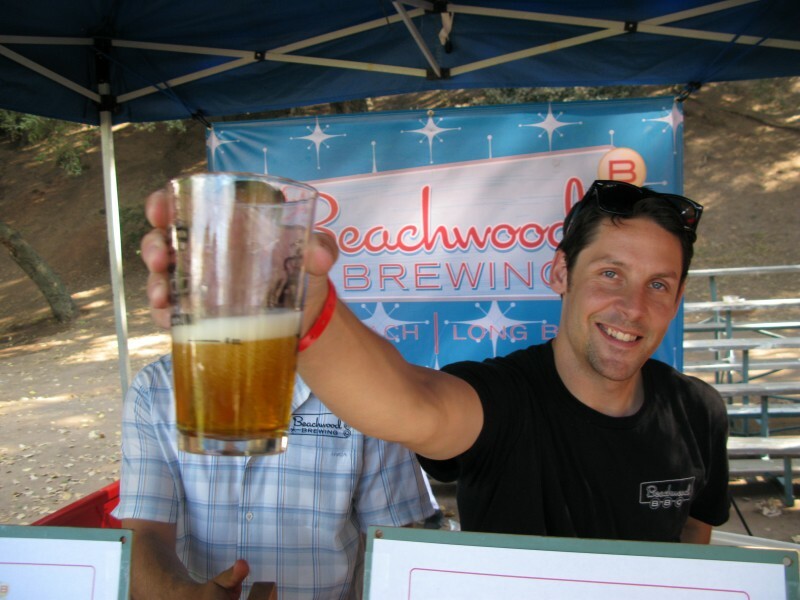 Sender One is a 25,000 sq.ft. 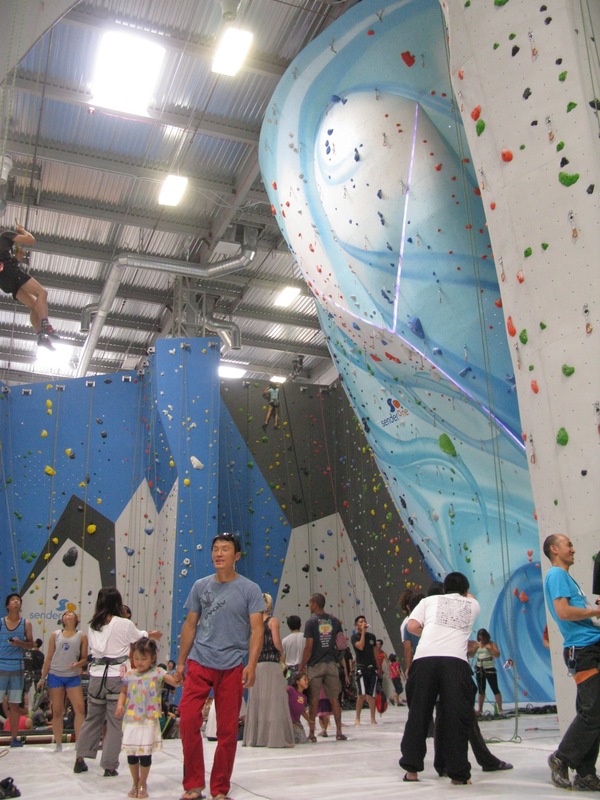 indoor rock climbing facility designed by renowned rock climber Chris Sharma. 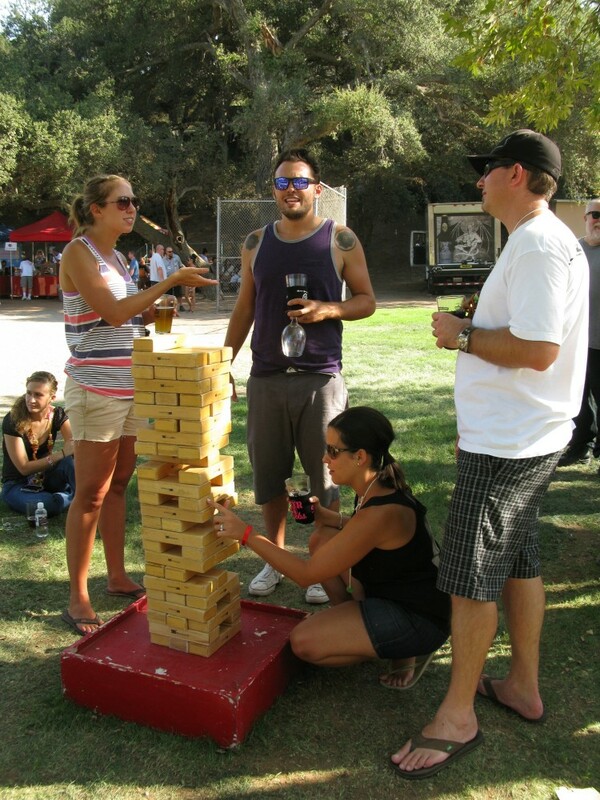 Experience indoor rock climbing on 50 ft. high walls, bouldering with cushy ground cover below to fall back on, and the gravity defying spectacle of teamwork, bonhomie, and total body animation as people everywhere traverse the surface like spider monkeys and formics. Mental and physical natures fuse as climbers gauge the puzzle of features and holds, moving at their own pace into a rhythmic expression of form and function. 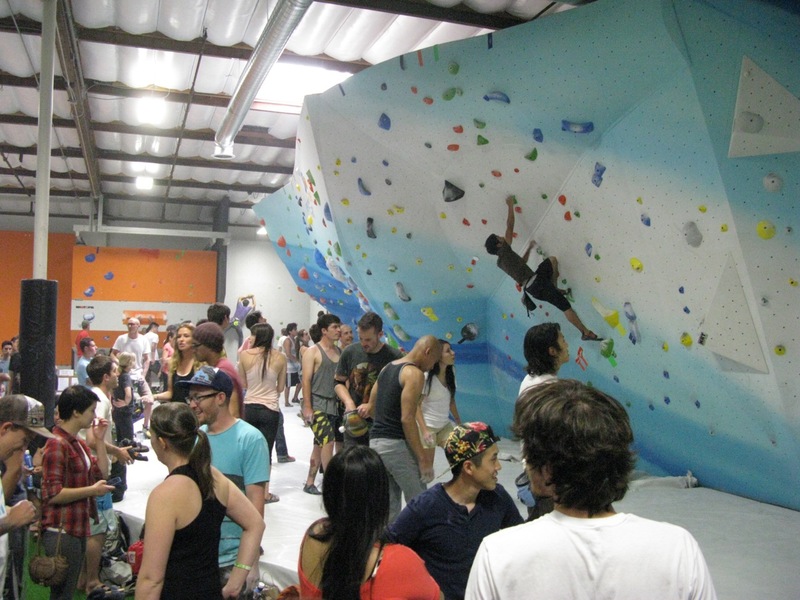 On June 15, Sender One, owned and designed by Chris Sharma, opened in Santa Ana, California. 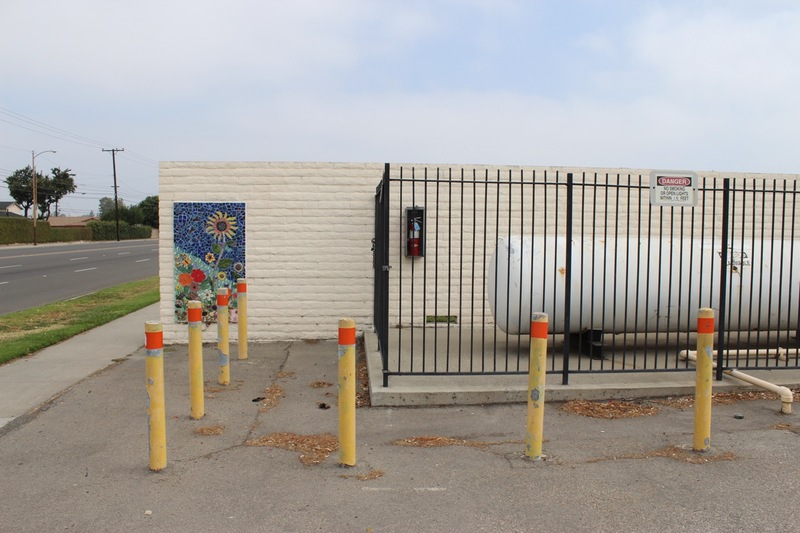 The facility has more than 25,000 square feet of climbing surface and walls up to 50 feet tall, with a yoga studio, fitness center, and adjustable/movable walls. 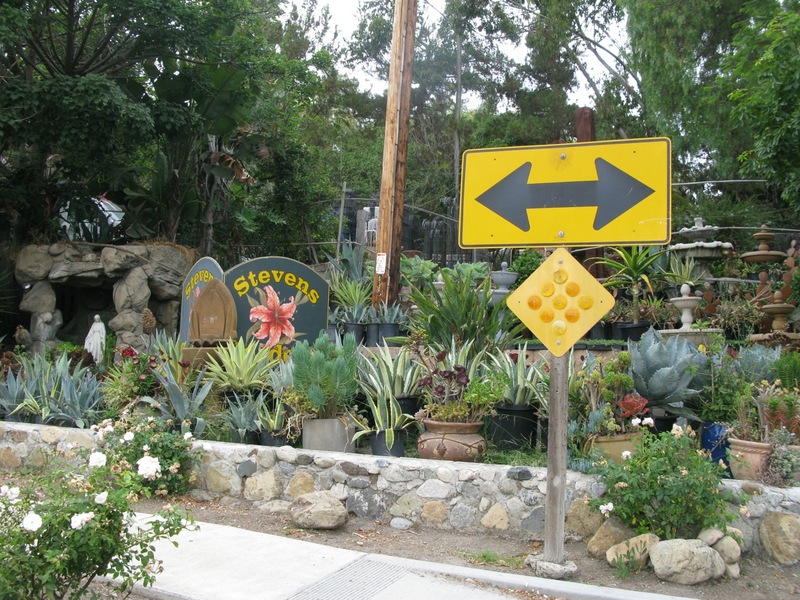 Stevens Garden, less than a mile from the Ortega Hwy exit off the 5, displays one of the most extensive selections of pots and garden fountains you will find anywhere in Southern California. Trails throughout the property wind below the lush canopy alive with bird song and reveal fish ponds, fountains, and troves of pottery stacked upon pottery. The visuals are wondrous and tranquility is the feeling. You might say that here you can allow the pot to find you. 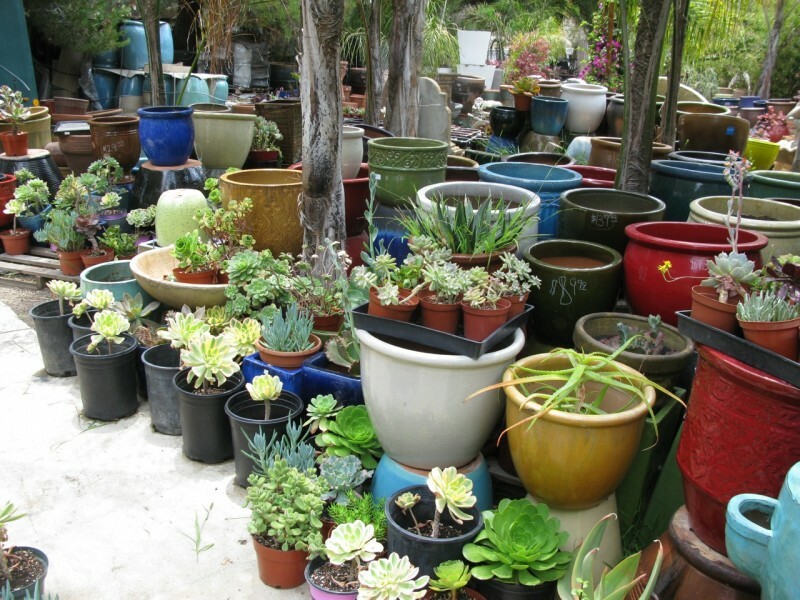 In addition, the kind crew running Stevens Garden maintain a quality selection of succulents for sale. One of the highlights of their collection is an array of benches and chairs, more like thrones, fashioned from re-purposed tree stumps. Let your imagination go wild. Huntington State Beach ~ H.B. 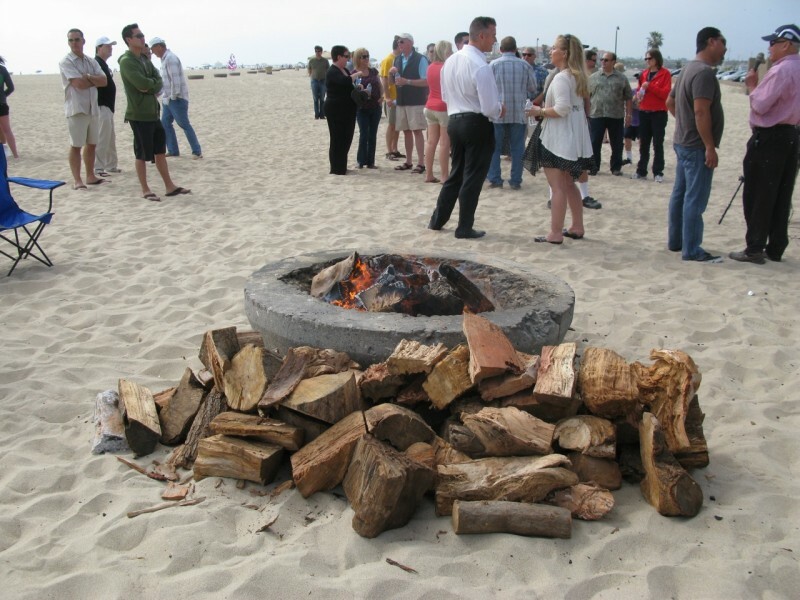 The AQMD Board has voted 7-6 to impose new restrictions on Southern California beach bonfire pits. Read more about the decision here. 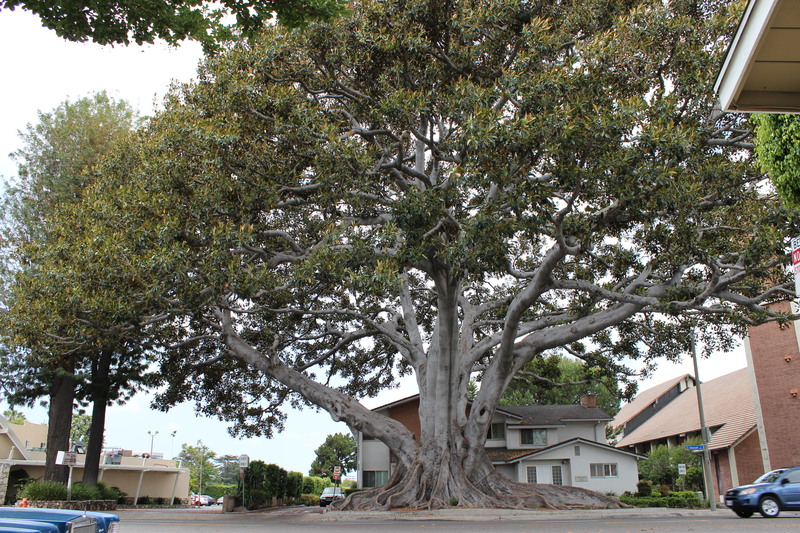 The South Coast Air Quality Management District, “Cleaning the Air We Breath”, and giving environmentalism a bad name. 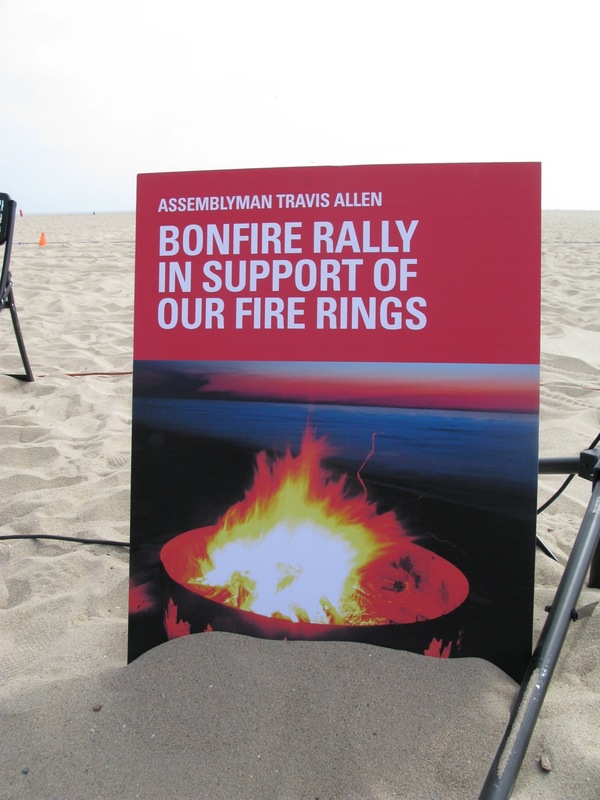 No thanks to the AQMD, a puny coalition of Newport Beach/Corona Del Mar residents, and an already discredited and disgraceful council of “public servants” known as the Newport Beach City Council , public recreational activities will be curtailed by new restrictions on the distribution and location of fire pits located within 700 feet of homes. 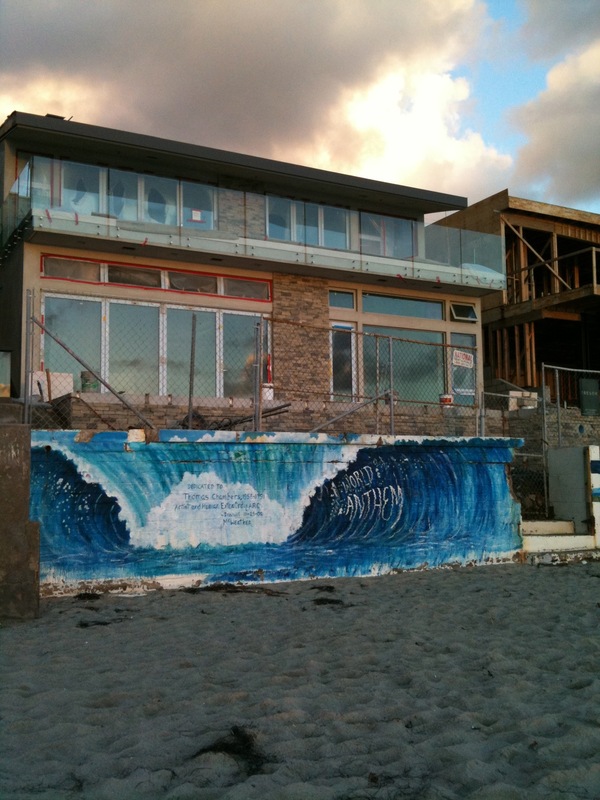 Doheny State Beach will be most affected by the new restrictions, which will take effect in March, 2014. 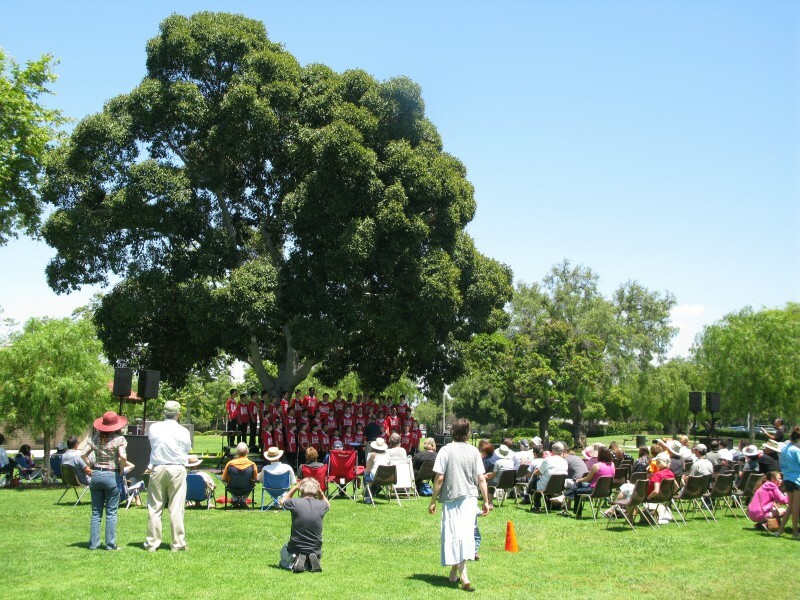 Arts In The Park, sponsored by the Costa Mesa Cultural Arts Committee, feautured live mural painting, face painting, a costume booth, live music from the All American Boys Chorus, and more on a sunny day in May. 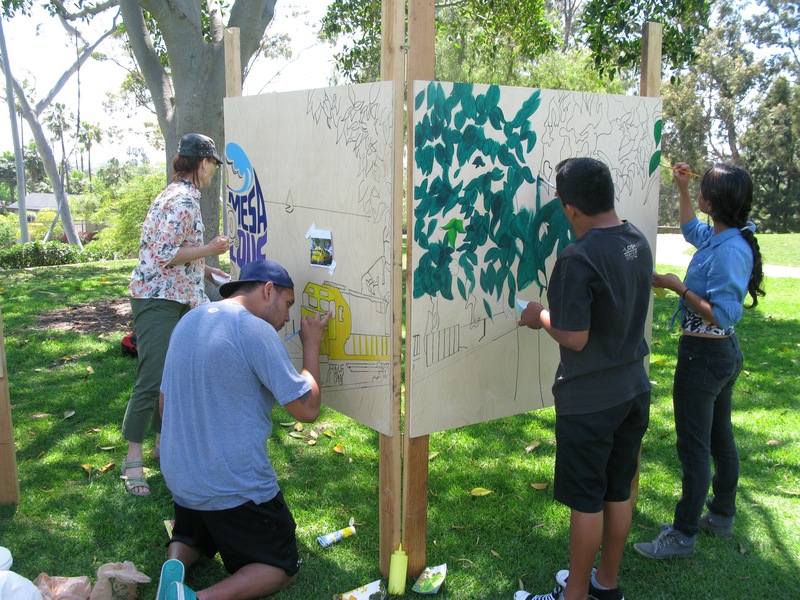 Artists painted wooden panels for the City of Costa Mesa’s 60th Anniversary celebration starting on Friday, June 28th.